Hurricanes are among nature's most powerful and destructive phenomena. On average, 12 tropical storms, 6 of which become hurricanes form over the Atlantic Ocean, Caribbean Sea, or Gulf of Mexico during the hurricane season which runs from June 1 to November 30 each year. In the Central Pacific Ocean, an average of 3 tropical storms, 2 of which become hurricanes form or move over the area during the hurricane season, which runs from June 1 to November 30 each year. Guam, the Northern Marianas and Micronesia experience typhoons all year round but the main season in July through November with a peak from mid-August to mid-September. Over a typical 2-year period, the U.S. coastline is struck by an average of 3 hurricanes, 1 of which is classified as a major hurricane (winds of 111 mph or greater). 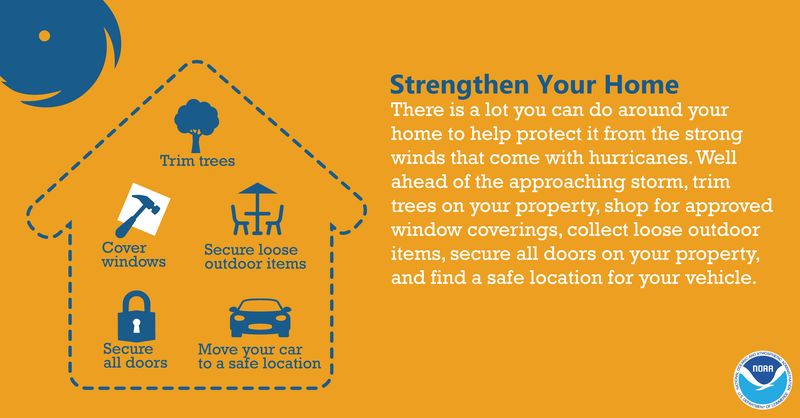 By knowing what actions to take before the hurricane season begins, when a hurricane approaches, and when the storm is in your area, as well as what to do after a hurricane leaves your area, you can increase your chance of survival. The best time to prepare for a hurricane is before hurricane season begins. 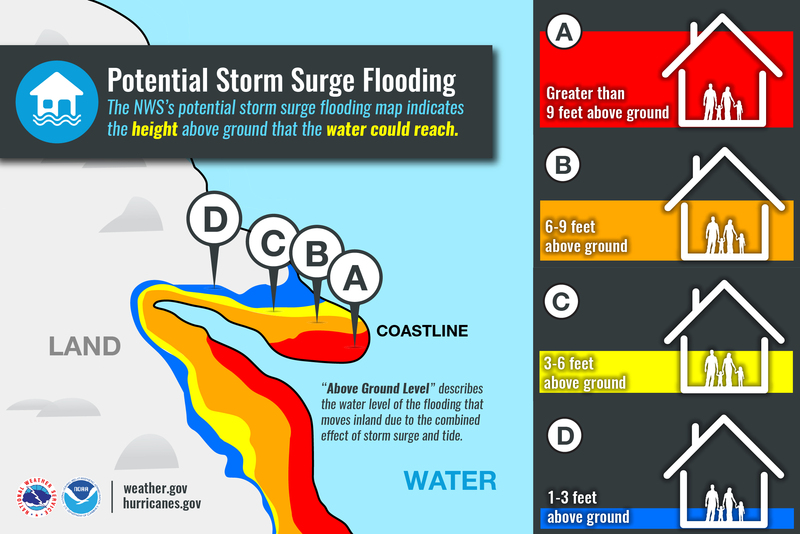 It is vital to understand your home's vulnerability to storm surge, flooding, and wind. Here is your checklist of things to do BEFORE hurricane seasons begins. Know your zone: Do you live near the Gulf or Atlantic Coasts? Find out if you live in a hurricane evacuation area by contacting your local government/emergency management office or by checking the evacuation site website. Put Together an Emergency Kit: Put together a basic emergency. Check emergency equipment, such as flashlights, generators and storm shutters. Write or review your Family Emergency Plan: Before an emergency happens, sit down with your family or close friends and decide how you will get in contact with each other, where you will go, and what you will do in an emergency. Keep a copy of this plan in your emergency supplies kit or another safe place where you can access it in the event of a disaster. 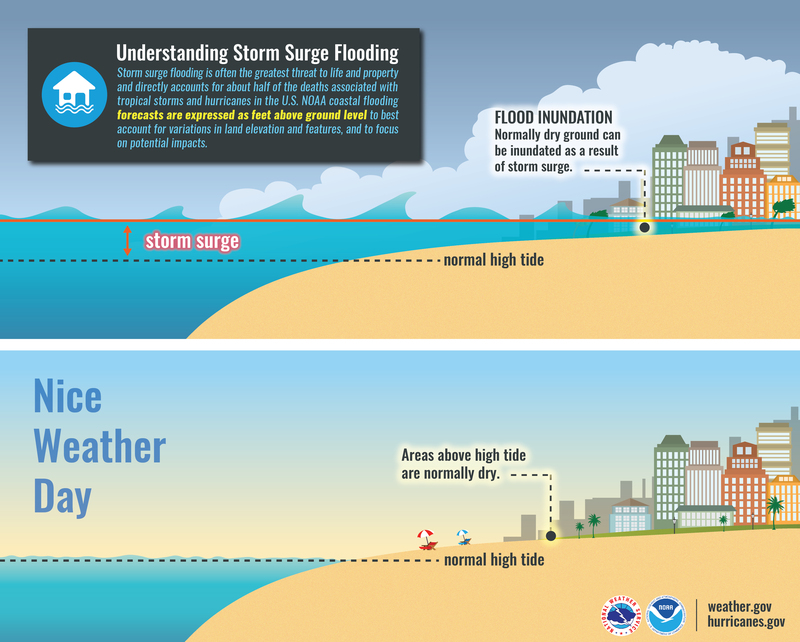 Understand the local forecast products, especially the meaning of watches and warnings. Stayed tuned in: Check the websites of your local National Weather Service office and local government/emergency management office. Find out what type of emergencies could occur and how you should respond. Listen to the radio or TV stations for the latest storm news. Take refuge in a small interior room, closet, or hallway on the lowest level during the storm. Continue listening the local news for the latest updates. Carbon monoxide poisoning is one of the leading causes of death after storms in areas dealing with power outages. Never use a portable generator inside your home or garage. * Review generator safety.